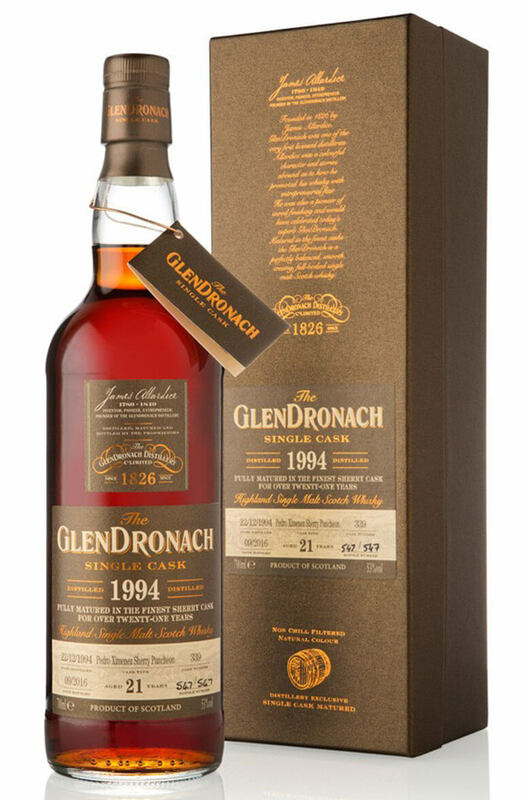 From Glendronach's 14 batch of superb single cask whiskies. These highly collectable bottling represent some of the best quality whisky being released from Scotland at the moment. This release was aged for the entire 21 years in a single Pedro Ximenez sherry punheon. Aromas (with water) Fantastic contrast of cigar box spice infused through stewed damsons, demerara sugar and crisp orange zest. Flavour Intense, rich molasses and dark chocolate harmonise perfectly with dried Mediterranean fruits and a spiced, toasted oak back note.